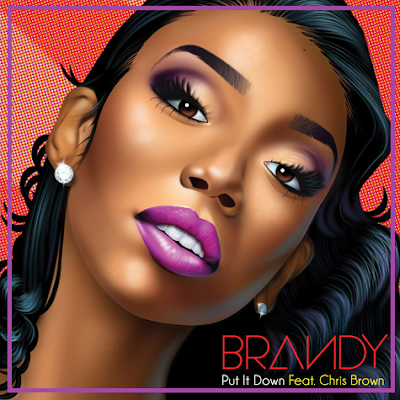 A few weeks ago we learned that Brandy was in the studio working with Chris Brown who confidently tweeted that Brandy was the best female vocalist in the game- which I agree with---as you guys know! The record- Put It Down was written by Chris and his artist Se7en..produced by Sean Garrett & Bangladesh.. check it out .. the single is on itunes May 8th!! Make sure yall get it! I love this! I'm not even a real Brandy or Chris Brown fan, but this is hot!